A scholar who was quoted by the New York Times in an article casting doubt on Jewish claims to Jerusalem has ripped the paper for improperly performing journalism and making claims that most in the academic community call bunk. 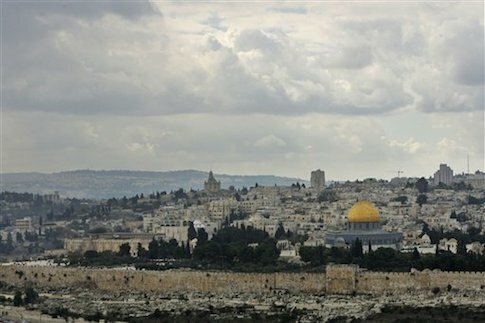 Jodi Magness, a professor specializing in early Judaism at the University of North Carolina, was quoted in a recent Times piece that cast doubt on the Jewish people’s historical connection to Jerusalem and the temples that once stood on the Temple Mount, which is currently home to the al Aqsa and Dome of the Rock mosques. "Historical Certainty Proves Elusive at Jerusalem’s Holiest Place," read the Times headline, which went on to raise questions about Jewish temples that once stood in that area. Magness, who was quoted as an expert in the piece, expressed alarm at the final report in a letter to the editor that went on to explain how there is little doubt that Jewish temples once stood in that spot. Magness explained that "no credible scholars" believe what the Times reported. "The question of the existence and location of two successive temples on the Temple Mount in Jerusalem is not nearly as contested as the article suggests," Magness wrote. Literary sources leave little doubt that there were two successive ancient temples in Jerusalem dedicated to the God of Israel (the first destroyed in 586 B.C., and the second in 70 A.D.) These sources and archaeological remains indicate that both temples stood somewhere on the Temple Mount," the scholar continued. "The only real question is the precise location of the temple(s) on the Temple Mount. The site of the Dome of the Rock is the most likely spot for various reasons, despite the lack of archaeological evidence or excavations," Magness wrote. "I know of no credible scholars who question the existence of the two temples or who deny that they stood somewhere on the Temple Mount." The Times added a correction to the story. "An earlier version of this article misstated the question that many books and scholarly treatises have never definitively answered concerning the two ancient Jewish temples," it states. "The question is where precisely on the 37-acre Temple Mount site the temples had once stood, not whether the temples had ever existed there. "